St. Patrick’s Day is coming up so there is no better time to start doing green crafts for the popular Irish holiday. The shamrock is known as a symbol of Ireland, with St. Patrick having used it as a metaphor for the Christian Trinity, according to legend. The four-leaf clover is more uncommon than the three-leaf clover so tradition says four-leaf clovers bring good luck to those who find one. 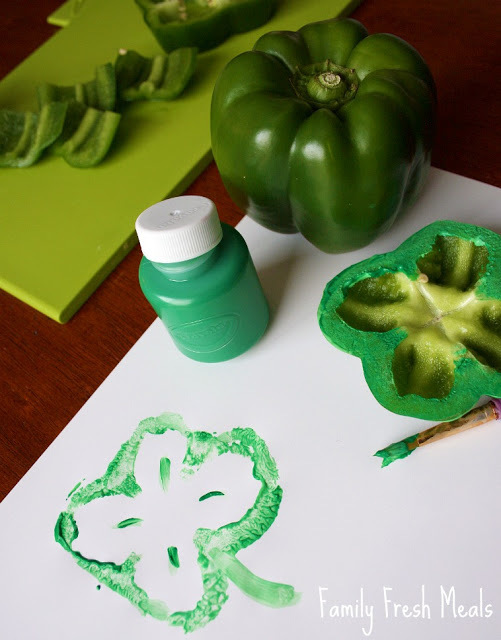 In this easy project we used bell pepper to make a shamrock stamp. Project adapted from familyfreshmeals.com. 1. Cut off a thick slice of pepper. 2. 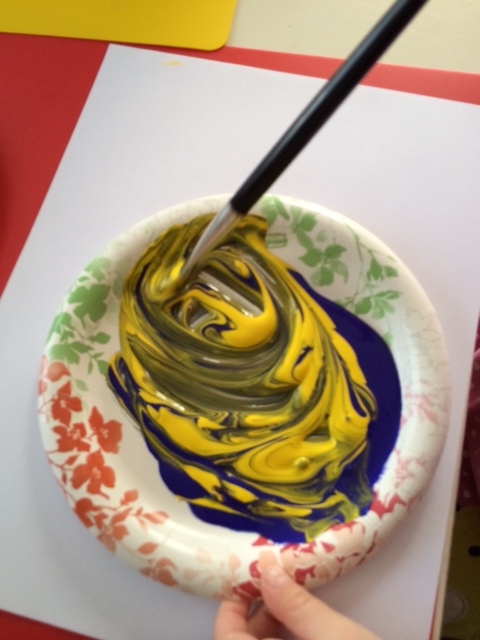 I let the kids mix blue and yellow paint together to make green paint on a paper plate. 3. Have the kids paint the edges of the pepper with green paint or dip the bell pepper into the paint.